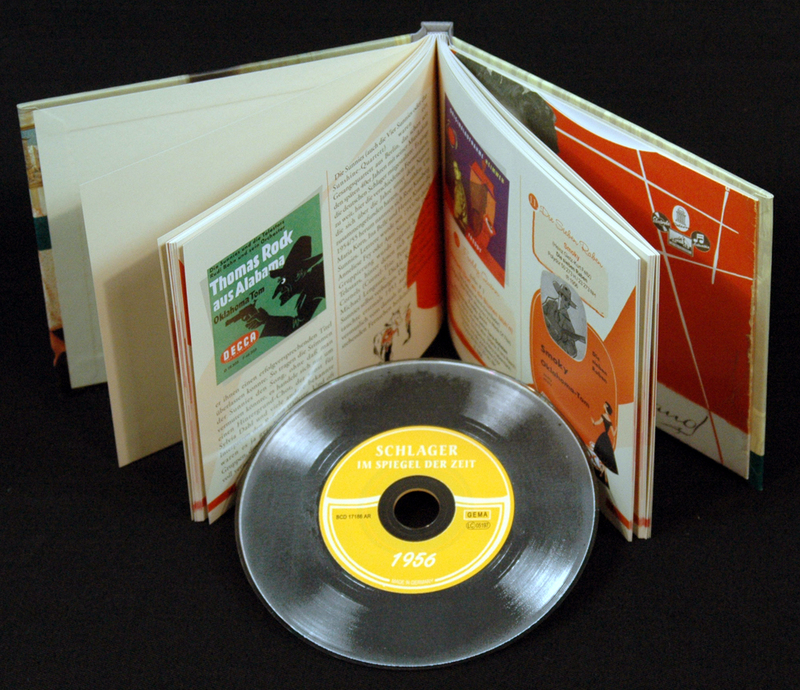 1-CD with 84-page, german language booklet. 31 tracks, playing time: 88:14. What the 'Frankfurter Allgemeine Zeitung' predicted for the new year sounded unsettling to many: the tendency to 'neglect and brutalise' young people was presented as a danger to society, which was 'worse than the atomic bomb'. The phenomenon of the 'half-strong' was due to the failure of the parents. Suddenly it was over with the harmony of the Economic Miracle Land. The focus was on young people and their conflict potential in relation to the older generation. This development was not unexpected. Last year the James Dean film '...because they don't know what they're doing' had already shown in German cinemas what young people are capable of. The original title 'Rebel Without A Cause' set the tenor: Rebellion. The spark at the powder keg had come from an unexpected side: A recording of the Country & Western musician Bill Haley, who had received little attention until then, had served as the final music for the film 'Saat der Gewalt' in 1955. In connection with the rebelliousness of youth denounced in the film, the song Rock Around The Clock now developed an unexpected explosive force. Suddenly the 'half-powered' in the USA and Europe discovered a new role for themselves. Clever media people knew how to turn this into a fast sounding coin. In the Federal Republic of Germany, author and director Will Tremper delivered a script that was clearly based on American models. The film 'Die Halbstarken' with Horst Buchholz and Karin Baal in the leading roles should show: We now also have a James Dean and a Natalie Wood who don't want to adapt. A four-page story in the popular magazine 'Film und Frau' demonstrated that this was about a different caliber than the 'Girls of the Immenhof': "If one read the more or less alarmingly presented reports about 'youth riots' in recent months, one could get the impression that our time was beaten by a particularly violent, uninhibited, even downright criminal young generation". And the paper made for a bourgeois audience, which described the society of the 1950s in all its facets, actually discovered an escalation: "In the past, the 'Halbstarken' hung night caps or burial wreaths over the head of the monuments of their fathers... - Today, film and penny-pin literature teach them far more complicated and less harmless things. And the publicity that is given to their actions and activities increases the misguided ambition of the young heroes completely into the unmeasured." The new magazine 'Bravo', which in 1956 celebrated James Dean and Horst Buchholz as idols for young people - from now on also on its front page - contributed a great deal to the publicity. Even Elvis Presley appeared on the cover this year. The three were noticed more and more from year to year - Bill Haley, who moved youth onto the streets, did not take place on the title page until 1958 (and only once!). Maybe it was because of the publicity he caused. 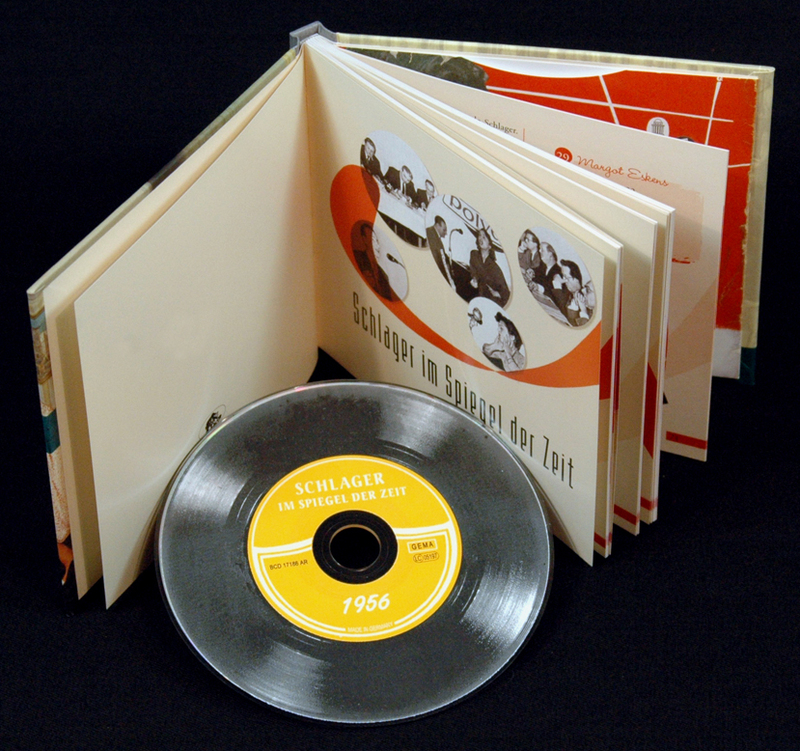 In September, the Rock'n'Roll film 'Außer Rand und Band' starred Bill Haley's Comets in the leading role in German cinemas. The 'Halbstarken' could no longer be held. For example in Gelsenkirchen, where hundreds of young people blocked traffic and fought street battles with the police after the film was shown from 9 to 15 November. Two weeks later, according to local press reports, thousands of "Halbstarken in riveted texas trousers, leather jackets or colourfully striped turtleneck pullovers" were roaming the city centre of Dortmund. Trade unionists also demonstrated in Germany in the year of the KPD ban. Your goal: the 40-hour week. Her slogan: 'Saturday daddy is mine'. The Polydor was the end of it all. Her advertising plate (episode 2) from 1956, called 'Starparade', offered a glimpse into the wide world: "Travel with the new Polydor hits around the globe, to Peru, Rome, Paris and through the beautiful South Seas. On the way you will meet many lovely acquaintances: Caterina Valente, Gerhard Wendland, Margot Eskens, Renée Franke, Peter Alexander..." Accordingly, Club Indonesia opened the journey with Steig in the dream boat of love. 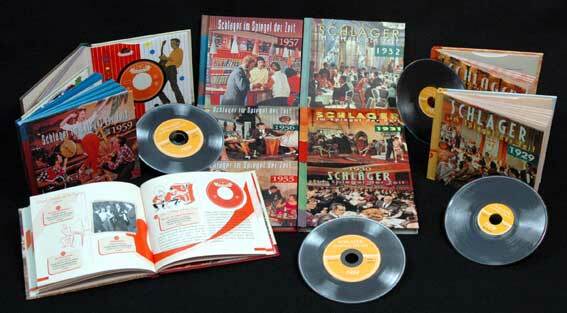 After all, Illo Schieder hinted at the rhythm of time with Bingel-Bangel-Boy-Boogie. But it all went more well with current films like Caterina Valentes' 'Du bist Musik' (with lots of Kurt-Feltz titles) or 'Die Hochzeit auf Immenhof' and 'Sissi' than with the American 'Außer Rand und Band'. We had a Miss World to offer for the first time in 1956: In London, 20-year-old Petra Schürmann was voted the most beautiful woman. The horse of the year was Halla, a mare with whom show jumper Hans Günter Winkler won Olympic gold in Stockholm. The pop singer of the year was Lys Assia, who won the first European pop derby in Lugano in May. Her song Refrain won the first Grand Prix Eurovision de la Chanson. Switzerland had sent its best horse into the race. She even beat Freddy Quinn with his So it goes every night with distinct lengths. Lys Assia had already conquered a leading position in Germany a long time ago. And not only there: It also reached the audience in France and the USA. A 'Ringing Post' (No. 7) from 1956 also alludes to this. The speaker proudly tells that she has already enchanted America with her song Bella Notte. The fact that the Swiss in Germany was particularly emphasized by Teldec was also due to the fact that the Swiss manager Maurice Rosengarten was a partner and supervisory board member of the Hamburg record company. Rosengarten had already made Lys Assia and Vico Torriani their producers in the Alpine republic before this post. For business reasons alone, he cared a lot about the German Schlager, and in that year he even wrote songs like "Waldesrauschen" by the Hofmann siblings and the Rodgers Duo: "In der Waldesruh a deer watches us ...". More modern sounds Evelyn Künnekes Boogie in three-four time from the same 'Ringing Post' advertising record, a cover version of the American Rock And Roll Waltz. Keyword Rock 'n' Roll: Here the 'Ringing Post' suddenly takes a running jump for a giant jump. "And now ears wide open for the very latest, the big surprise for all record lovers: the German start of the RCA records, the top stars of the world class now also in their home. Here's a sample: Elvis Presley, the youngest from the long, sonorous list of RCA favourites, the 21-year-old comet in the sky of rock 'n' roll ecstasy in youth all over the world." And then Hound Dog is played in. One may forgive the speaker for pronouncing "Prissli" to the interpreter. After all, Elvis didn't show up on the radio or in the jukeboxes yet. After all, the Badenweiler had been put on the index there in the meantime (see CD 1954). The boxes have been denazified. But Bill Haley had already taken it to the top position in the 'vending machine market' at the beginning of the year with Rock Around The Clock, thereby putting Lys Assias Arrivederci Roma in the lead. Assia's most successful time came to an end during these years. This also affected all others who overheard the signals sounding across the Atlantic. Soon the German pop song I Love You Baby was called, and the 'Napoli' and 'Roma' songs were also called Buona Sera. Apropos Roma: The first travel facilitations let daring ones already drive 1956 with the own car over the Brenner in the south. The German number plates, which previously indicated in white on black that they belonged to the respective occupation zone, have now been replaced by black and white plates of regional origin. Before that there were mainly organized tours to Italy from the Federal Republic of Germany to the Vatican. But now they were more looking for the 'dolce vita' than the Ave Maria. Even if West German gigolos at the Lido di Jesolo hardly sang Veni, vidi, vici, one or the other "Addio Amore" may have already existed at that time. 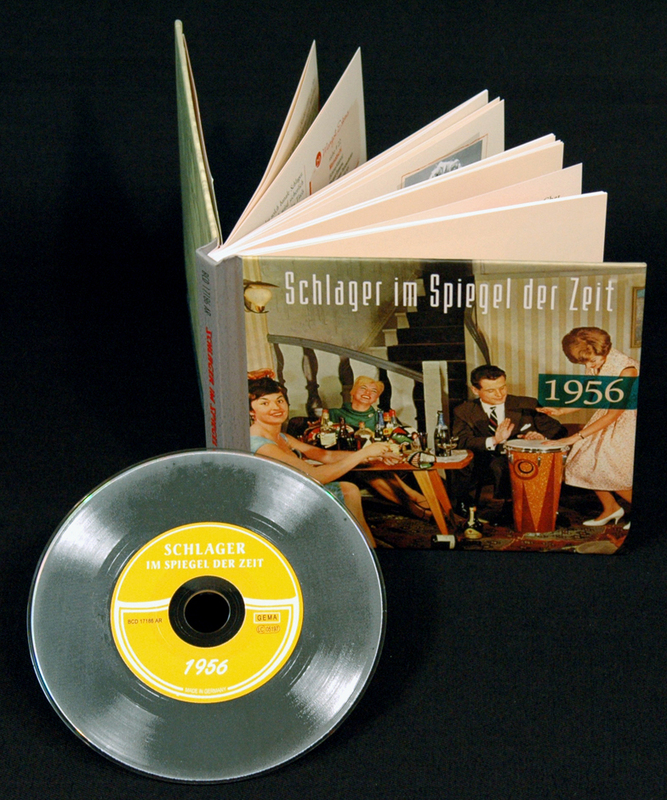 The Schlagertexter accompanied the desire to travel with their holiday dream songs - Kurt Feltz was therefore awarded the Italian Order of Merit in 1959 for his coming to Italy. 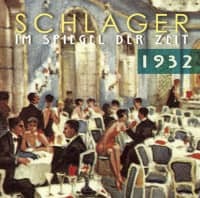 The fantasy of the Schlagermacher had no limits when the first German Vickers Viking 30 holidaymakers flew to Mallorca. Ruhpolding now had peace - abroad we come! "Various - Schlager im Spiegel der Zeit"
Nur wenige Genres vermögen ähnlich zu polarisieren, wie der Schlager. Wer beim Stichwort jedoch allein an aktuelle Verwerfungen denkt, tut dem Ganzen Unrecht. 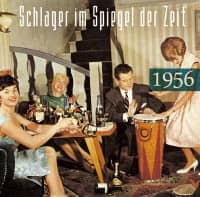 Vor Ballermann, Schlagermove und Mutantenstadl gab es Zeiten, in denen der Schlager nicht nur durch Charme, Witz und Esprit überzeugte, sondern vielmehr den Soundtrack des Geschehens bildete: In seinen Boomphasen während der Goldenen Zwanziger und zu Wirtschaftswunderzeiten war der Schlager ein Massenphänomen (nach heutigen Maßstäben „Mainstream“). Ob man ihn mag oder nicht – er ist integraler Bestandteil der hiesigen (Musik-)Kultur und spiegelt im 20. Jahrhundert prägnant wie kaum ein anderes Genre nationale Bewusstseinsverhältnisse und deutsche Alltagsgeschichte wider. 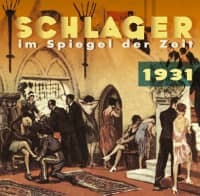 Umfassende Hintergründe und verblüffende Entwicklungen, begeisternde Melodien und himmelstürmende Künstler präsentiert Bear Family jetzt mit der chronologischen CD-Dokumentation „Schlager im Spiegel der Zeit 1926 bis 1970“. 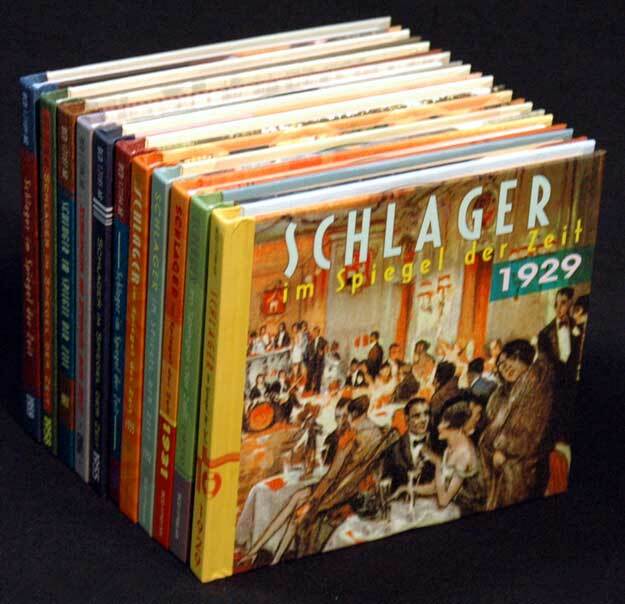 Die erste Veröffentlichungsstaffel deckt in 2 Teilen die Zeiträume 1929-33 sowie 1954-59 mit jeweils einer CD und vielseitigem Booklet pro Jahr ab. Dass die Serie von Stars und Hits lebt, liegt nahe: Schlager sind naturgemäß vom Massenpublikum geliebte Gassenhauer. Doch gerade in dieser unterhaltsamen Verbindung zeigt sich die Kopplung von Genre und Zeitkolorit. Die Goldenen Zwanziger formieren sich zwischen Bauhaus, Bubikopf und Ballsaal. Mittendrin, auf dem Gipfel der Popularität: der Schlager. 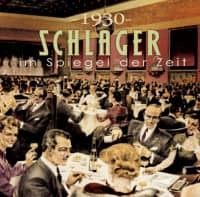 Mit Marlene Dietrich, den Comedian Harmonists, Max Hansen, Hans Albers, Willy Fritsch und Lilian Harvey erreicht der Schlager ein Millionenpublikum. Nicht zuletzt durch das Aufkommen des Tonfilms bilden Ohrwürmer wie „Ich bin die fesche Lola“ oder „Flieger, grüß mir die Sonne“ neben Evergreens wie „Surubaya-Johnny“ oder „Veronika, der Lenz ist da“ das musikalische Outfit der Weimarer Republik. Nach Diktatur, Krieg und Entbehrungen entfaltet sich der Schlager in den Wirtschaftswunderjahren wieder zu voller Blüte. Er kommuniziert in der Luft liegende Themen und befriedigt die Sehnsucht nach unbeschwerter Harmonie. Mit seinen Botschaften kanalisiert der Schlager Wunschträume, die von fernen Ländern, dem Meer, unbekannten Schönheiten und einer heilen Welt berichten. Peter Alexanders Liebesballaden, Freddys Seemannslieder, ein ewig gut gelaunter Vico Torriani oder die spritzige Caterina Valente – sie rotieren auf den Plattentellern der Musikboxen. Der Siegeszug von Rock 'n' Roll, Beat & Co. rüttelt zunächst an Hörgewohnheiten und verschiebt Geschmacksgrenzen, doch Teenager-Idole wie Peter Kraus und Ted Herold unterstreichen mit rockigen Klängen die Anpassungsfähigkeit „ihres“ Genres. 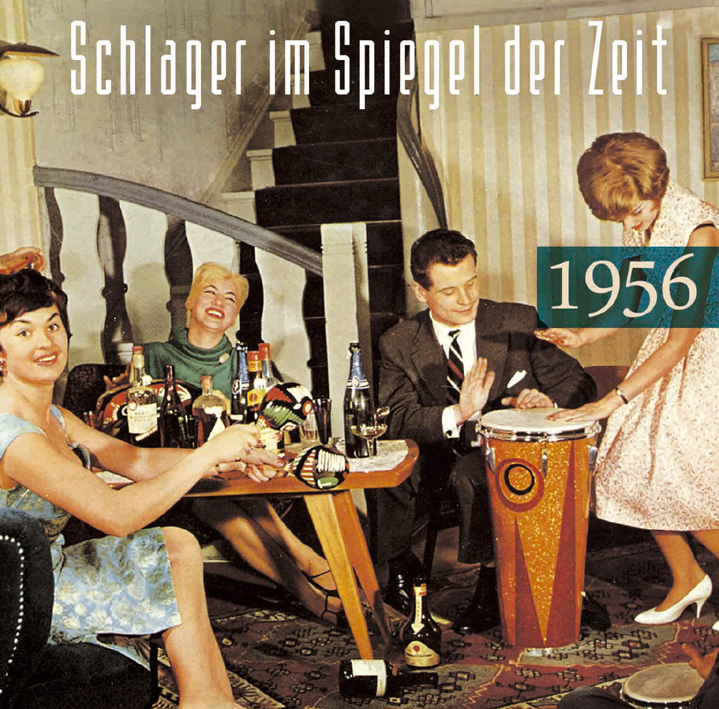 Eine sich international formierende Popkultur verdrängt als Mittler eines Lebensgefühls in den 1960er Jahren den Schlager und seine Interpreten: Während zu Beginn der Sechziger nahezu jeder Toptitel in Deutsch gesungen wird, ist das kaum 10 Jahre später die Ausnahme. 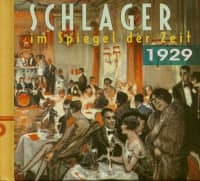 „Schlager im Spiegel der Zeit 1926 bis 1970“ wirft einen Blick zurück auf Spitzenstars und Eintagsfliegen aus fünf Jahrzehnten, die mit ihren Melodien aus Unterhaltungsware ein Kulturgut formten – jenseits aller Geschmacksgrenzen. Seit Einführung unserer CD-Serie bekräftigen wir von Bear Family stets aufs Neue unsere Verpflichtung, bestmögliche Qualität zu liefern. Diese Ausgabe enthält Überspielungen von Matritzen und Schellackplatten. Der Grundgeräuschpegel dieser Tonträger ist hörbar. Kurzes Knacken und Knistern sowie ein gewisses Maß an Rauschen kann durch Systeme wie Cedar und No-Noise auf ein Minimum reduziert werden. Diese Bearbeitung geht aber oftmals zu Lasten des Klangbildes der Originalaufnahmen. Wir setzen solche Verfahren äußerst behutsam ein. Bitte, beachten Sie: beim Abspielen von historischen Aufnahmen über Kopfhörer werden Grundgeräusche und andere analoge Unzulänglichkeiten verstärkt! Ein Produkt von BEAR FAMILY können Sie immer mit Vertrauen erwerben. 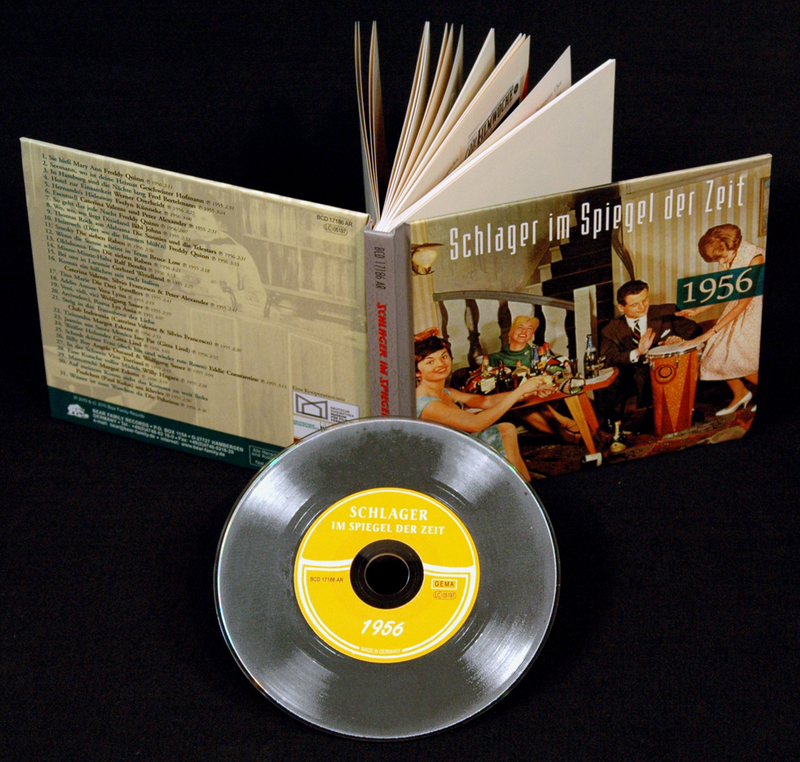 Customer evaluation for "Schlager im Spiegel der Zeit - 1956"